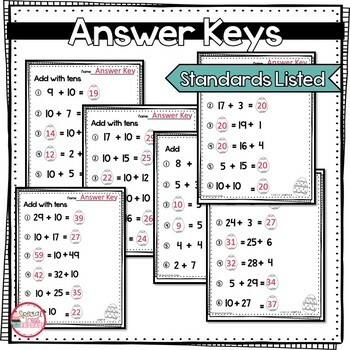 These Math Worksheets work great for a review, practice, or extra fluency for standards 1.NBT.5 and 1.NBT.6. They include adding and subtracting numbers up to 120. They also include many sheets that have adding and subtracting with 10s. 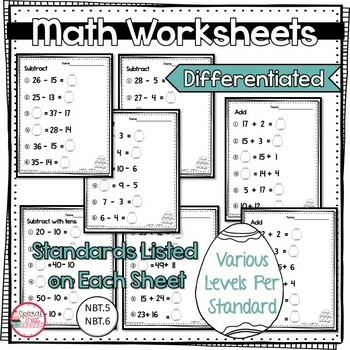 This unit includes over 40 Differentiated Addition and Subtraction Worksheets. They include adding and subtracting numbers up to 120. All sheets include a spring theme. There is also a bonus math game added to the unit that works with the same standards. 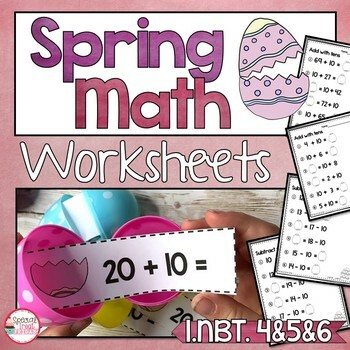 These math worksheets can be put into a math packet, differentiated for students, used in math centers, given as homework, used for extra fluency practice and independent work. Answer Keys are included and are easy to read. Students can correct their own work. You may also be interested in my full Spring Math Bundle. 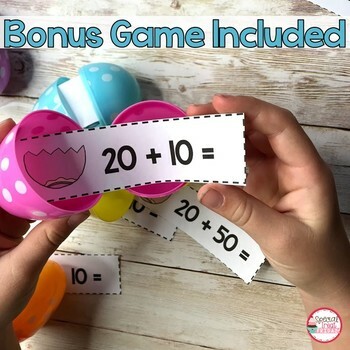 This bundle includes several math games and worksheets that fit numerous 1st grade standards.